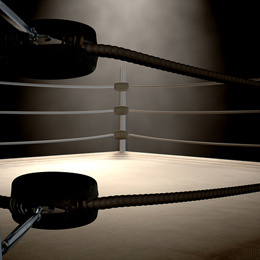 In the old days of boxing, the final three rounds of a fifteen round match were often referred to as “the championship rounds” – the rounds where pugilists put forth the final push to ultimately win a long and exhausting battle. With this in mind, it doesn’t seem too far-fetched to refer to the fourth quarter in the equipment finance industry as the championship rounds. To get a sense of how the year is shaking out as we head into the final rounds of 2016, Equipment Finance Advisor assembled a panel of four leaders from varying industry segments including bank-owned and independent equipment finance specialists focusing on middle-large ticket direct originations, capital markets, and vendor finance. In the following roundtable, Miles Herman of LEAF Commercial Capital, Adam Warner of Key Equipment Finance, Dave Fate of Stonebriar Commercial Finance and Kirk Phillips of Wintrust Commercial Finance share their thoughts about the current state of our industry, the impact of the dysfunctional electoral climate, the major challenges each of these businesses are facing, and finally their prognostications for 2017. We express our thanks to Miles, Adam, Dave and Kirk for taking time to speak with us before we enter this year’s final rounds. Excellent interviews. The response commonalities are uncanny. Thanks to all your interviewees for sharing their thoughts.